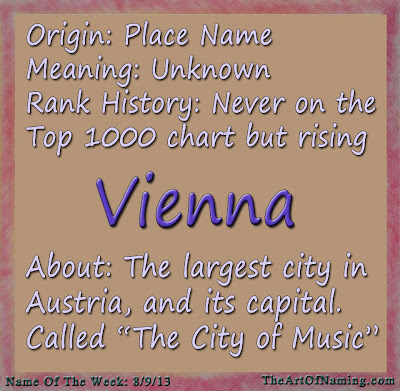 In honor of yesterday's post about "place names," I've chosen to feature Vienna for the Girl Name of the Week. Of course, Vienna is the capital of Austria, and it is also its largest city with 2.4 million people within the metropolitan area. The city is known as "The City of Music" because there have been more famous composers living there than anywhere else. It has also been called "The City of Dreams" because it was the home of Sigmund Freud, a famous psycho-analyst. The Italian name Vienna comes from the German name "Wien" which is thought to be derived from the Roman "vindobona" which comes from the Celtic word "windo-" meaning "white or fair." Some claim that it comes from "Vedunia" which means "forest stream." As you can see, the exact origin and meaning is a bit hazy. Every source I looked at seemed to have its own meaning and origin for Vienna, for instance, one site says that it is "Latin" meaning "from wine country". Vienna was used in the US in 1882 for 5 baby girls, and it wasn't heard from again until 1899. Its usage remained in the single and double digits until 2007 when there were 107 births for the year. 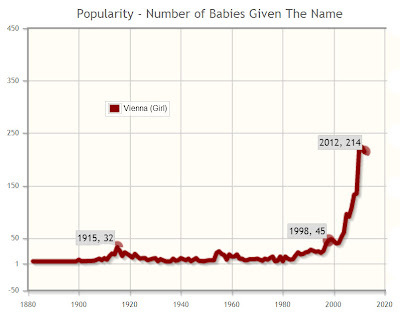 Now, in 2012 there were 214 births which puts Vienna at #1141. No, Vienna has never cracked the top 1000, but she is rising slowly. Perhaps parents are using Vienna as an alternative to the more-popular, similar-sounding Sienna. 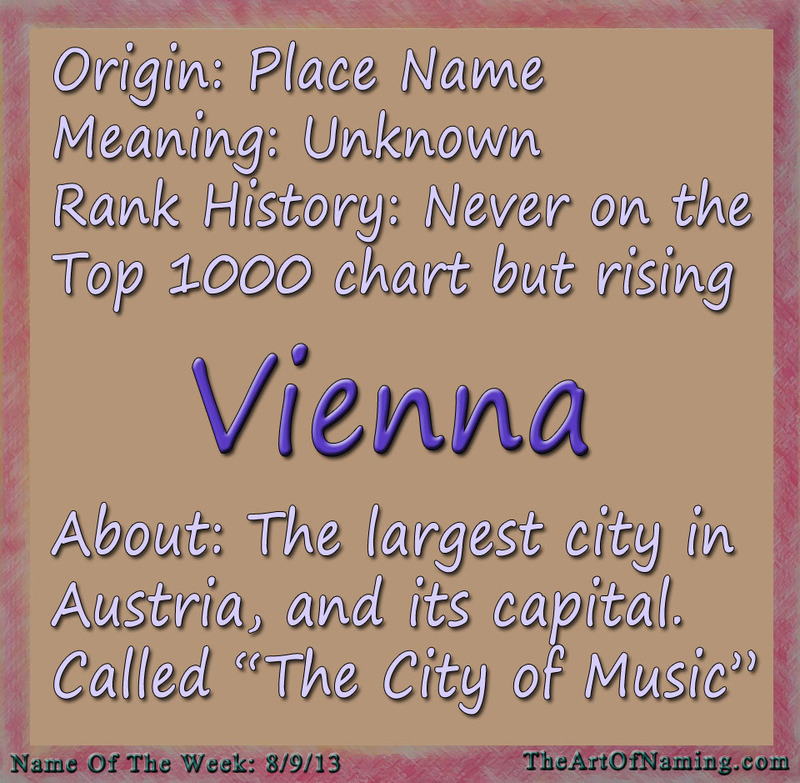 Do you think Vienna will appear on the top 1000 chart some time soon or do you think it will remain somewhat obscure? I could see it being more popular if it weren't for "Vienna sausages" tainting the beauty of this place name. What do you think? 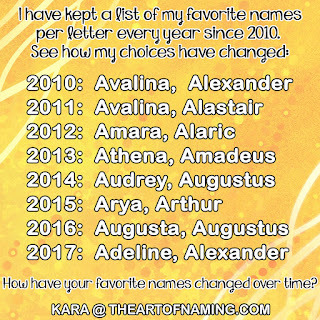 I love this name! I think it is so pretty!!! 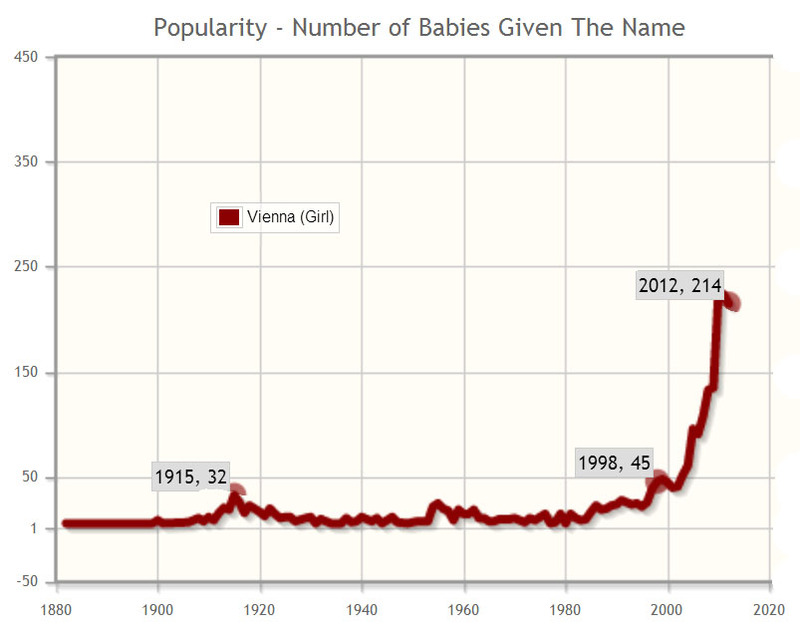 I saw a Vienna in a birth notice at For Real Baby Names - Vienna Hazel, I think her name was. I thought it was very pretty, and in fact that same month I saw several baby girls with names of cities starting with V. A definite trend!